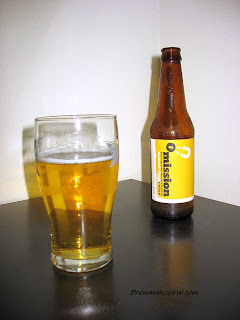 Omission Beer introduces the first two beers in its gluten-free craft beer portfolio: Omission Lager and Omission Pale Ale. Announced in late March by Craft Brew Alliance, Omission is the first craft beer brand in the United States focused exclusively on brewing great-tasting craft beers with traditional beer ingredients, including malted barley, that are specially crafted to be gluten-free. Brewed by Widmer Brothers Brewing in Portland, Ore., Omission beers are brewed using a proprietary brewing process to reduce the gluten levels to well below the widely accepted international gluten-free standard of 20 parts per million (ppm) for food and beverages. The international gluten-free standard was set forth by the Codex Alimentarius Commission, which was created in 1963 by the Food and Agriculture Organization of the United Nations and the World Health Organization. Each batch of Omission Beer is tested by an independent lab, Eurofins Scientific, the world leader in food and pharmaceutical products testing, to ensure that all Omission beers contain well below the international gluten-free standard of 20 ppm of gluten. Gluten levels in Omission beers are tested using the R5 competitive ELISA test. 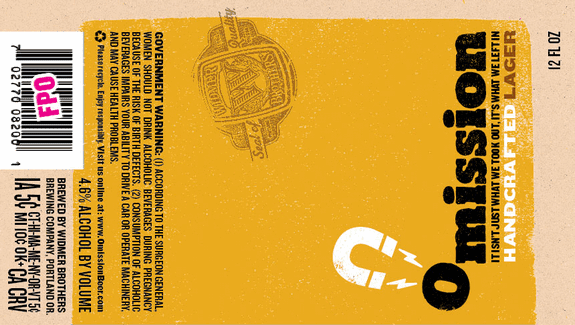 Beer is not released to consumers until test results are received and after an extended quality assurance hold. I missed the tasting event because it was rescheduled. Fellow pdxbeergeek Michael (co-founder) handed me a 6-pack with 3 of each - the Lager, and Pale Ale. I really am interested in this, not because I have a gluten intolerance, but because they brewed this beer with barley, and have discovered a way and/or managed a way to extract the terrible gluten element that affects many with the gluten intolerance. I never have had a "gluten-free" beer. I don't need to. I have heard the taste reviews of gluten-free beers, and run from them when I see them. So behold the power of the giant Widmer Brothers. This is business at work, and they are doing very well. This is how it should be. I would never toss negative vibes towards an ever expanding business that provides exceptional distribution through AB, or one that has worked so hard over the years to be able to achieve such a beer, or beers such as Omission. - Very clear and light straw colored lager. Quickly fizzing white head settled to a bubbly almost macro-lager-like brew. Subtle spots above the brew where the bubbles chose to reside. Pretty basic. Looks like another session lager. - Crisp bittering hops, as well as a slight floral presence. There is a biscuit-like grain and light sweet malt aroma. The yeast plays a bready role while yet an adjunct presence seems only slightly likely. I only say that because I know this is a gluten-free beer, though I don't know if an adjunct exists. - This tastes like a refreshing lager. Light grain, and light sweetness from the grain, and perhaps a corn maize affect. Light bitter pine and herbal hops, and a rather floral finish. This is solid, and yet again another lager that could steer a BMC fan away from the macro, and into the crafto. Being gluten-free is just a bonus, because you wouldn't guess it with this beer. 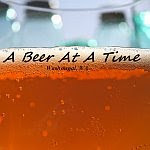 - A standard light bodied lager with a great dry finish. The use of hops create a nice dry finish to a beer that otherwise could be a little thin and syrupy. A little chewy yet, but cloying as well. - I am astounded that this is gluten-free. Yet it is still a stand-out lager in the craft world. You could hand this beer to someone, and never mention the fact that it is gluten-free... and I bet they would still thoroughly enjoy it more so than any canned macro on the market. Kudos to Widmer. I hope they continue to stay on this awesome path they have paved.